Everton will look to build on an encouraging performance against Swindon Town when they kick off the Premier League Asia Trophy against Stoke City on Wednesday morning. 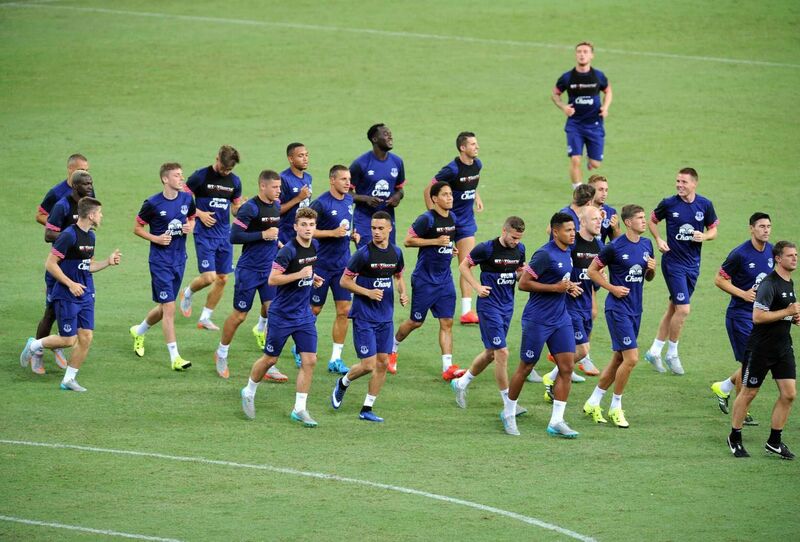 Stoke City will certainly provide stiff opposition, especially at this stage of the pre-season campaign but it is the stifling temperatures the Blues are likely to face that is causing Roberto Martinez the most concern. “It will be interesting how we adapt to the conditions – both teams. As you can imagine, the humidity and the heat is something quite different to what we are used to back in our league. Martinez is also keen to stress that although fitness is far more important at this stage of the teams preparations he would love to see the Blues lift the trophy on Saturday. “Pre-season is not about winning,” he said. “It is about getting the physical aspect you need. But it is something different when you come to a trophy like this one. It brings an extra excitement, an extra spice and you want to win. Joel Robles, Tim Howard, Jindrich Stanek, Tony Hibbert, Phil Jagielka, Seamus Coleman, John Stones, Tyias Browning, Luke Garbutt, Brendan Galloway, Jonjoe Kenny, James McCarthy, Ryan Ledson, Gareth Barry, Ross Barkley, Leon Osman, Steven Pienaar, Tom Cleverley, Arouna Kone, Romelu Lukaku, Kevin Mirallas, Steven Naismith, Conor McAleny, Gerard Deulofeu.